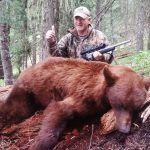 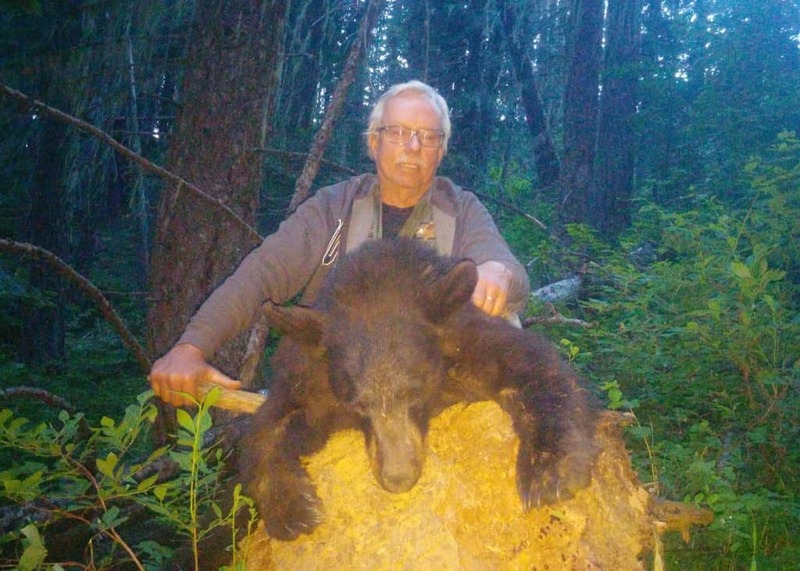 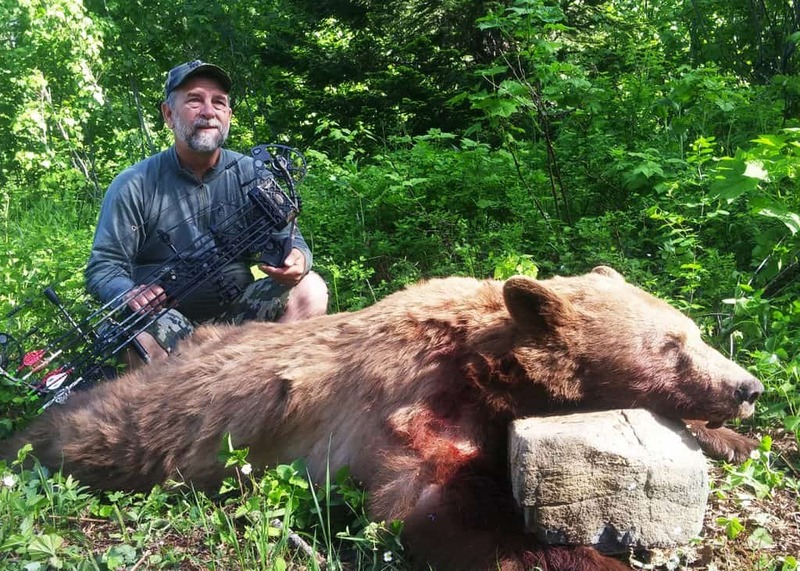 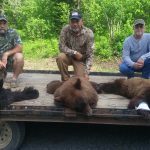 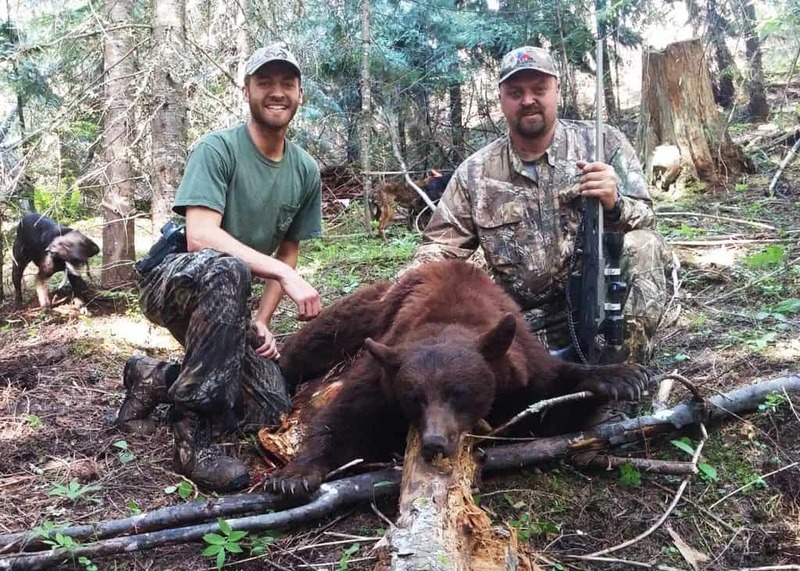 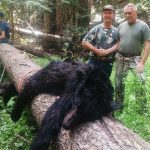 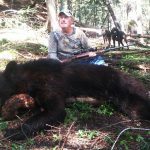 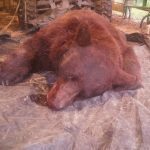 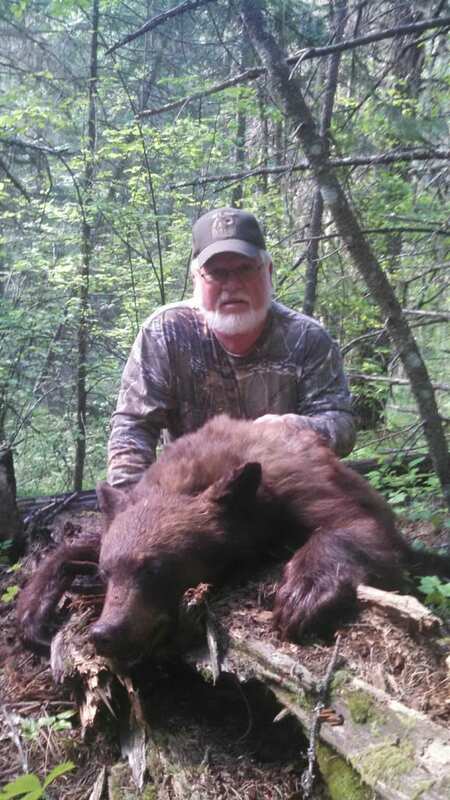 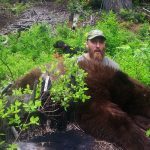 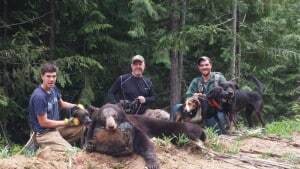 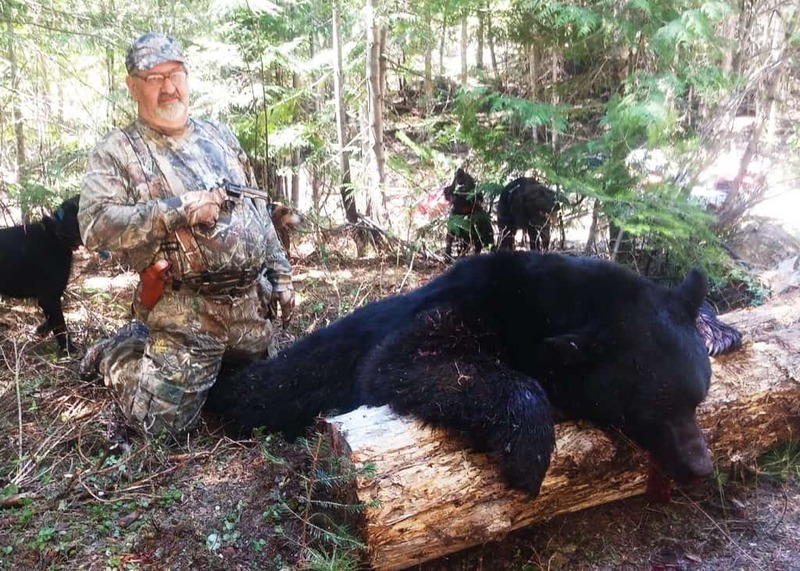 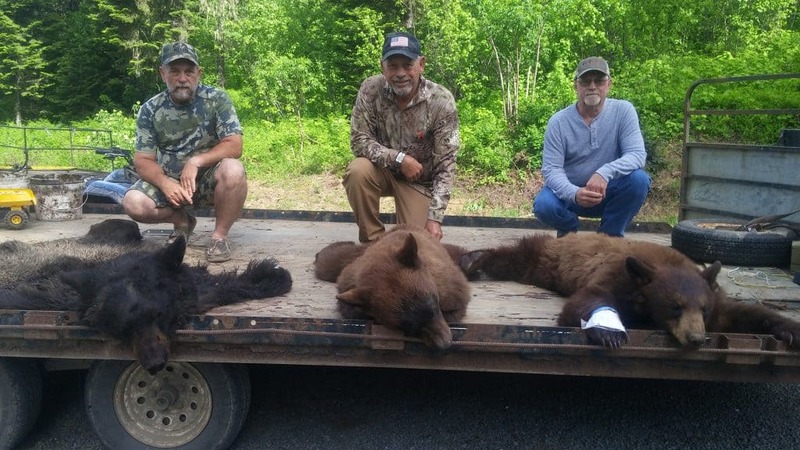 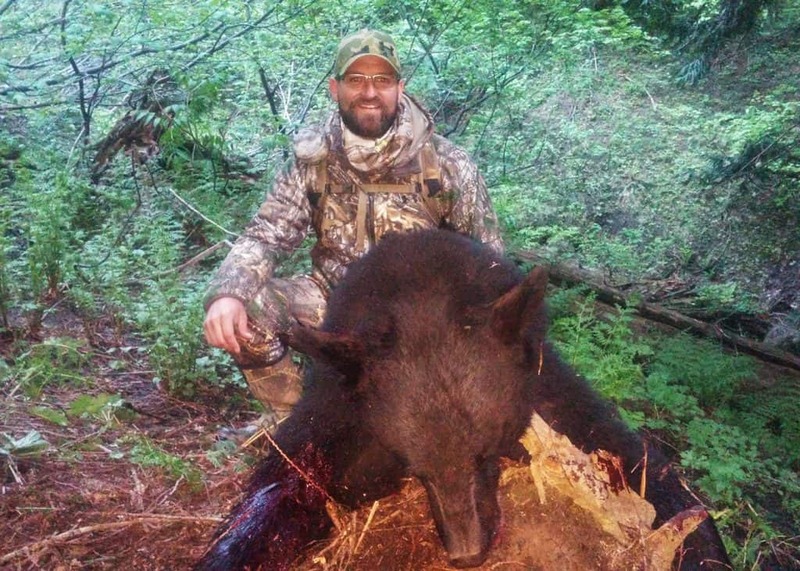 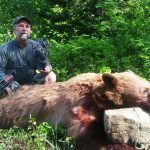 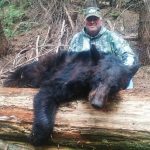 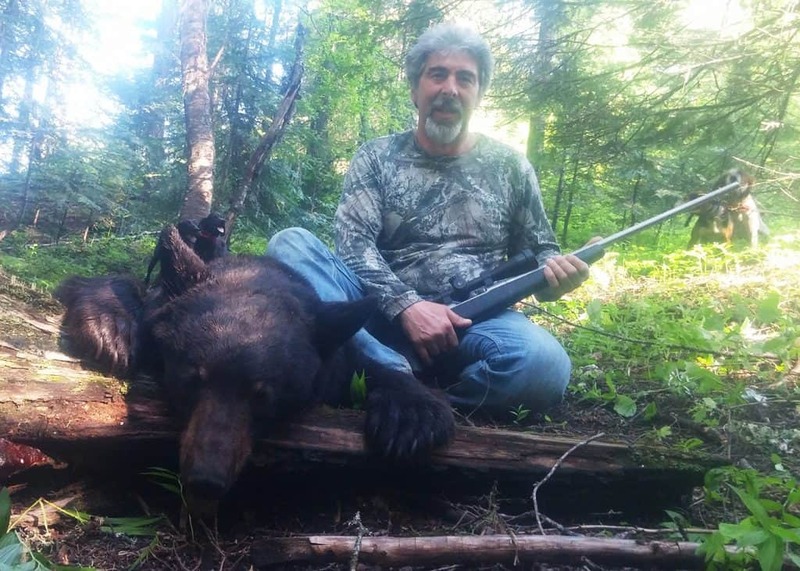 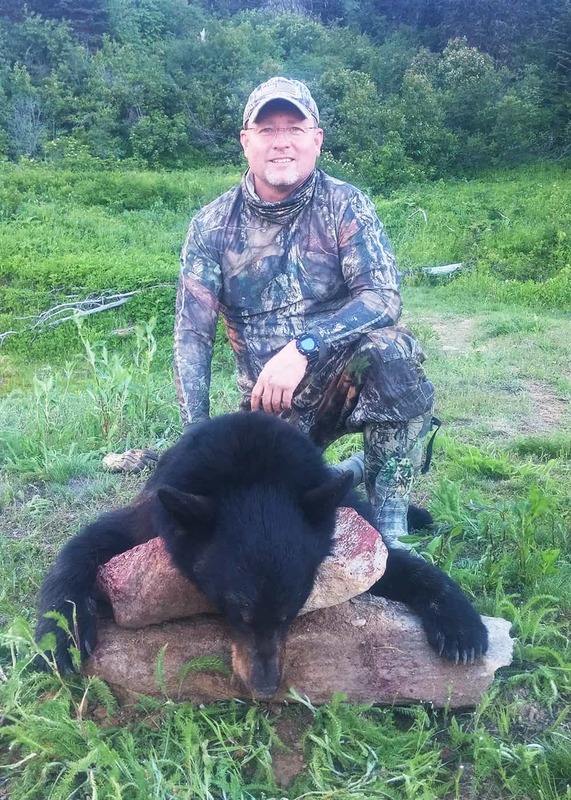 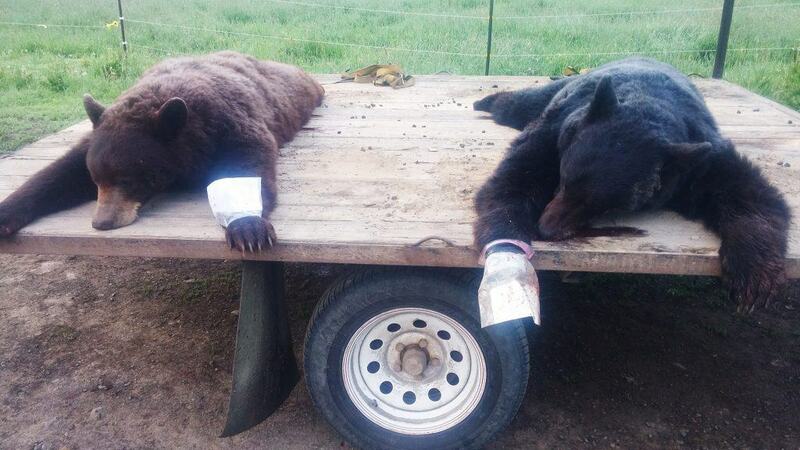 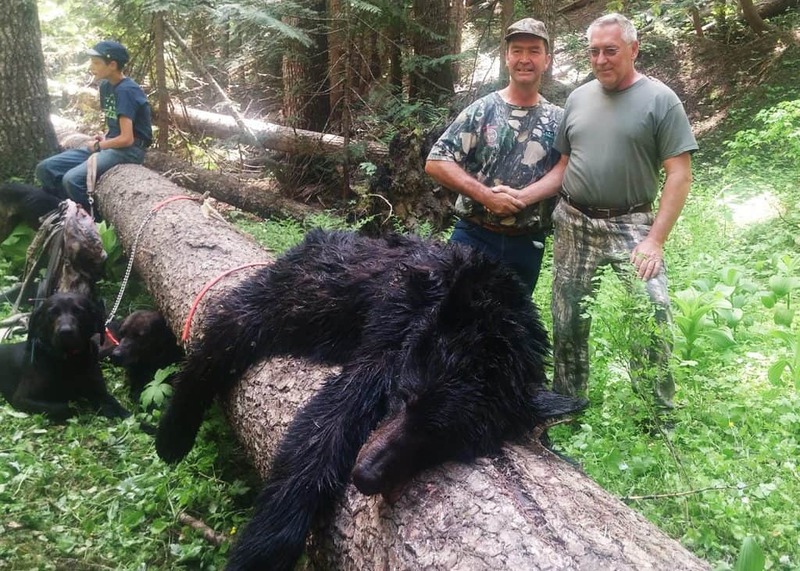 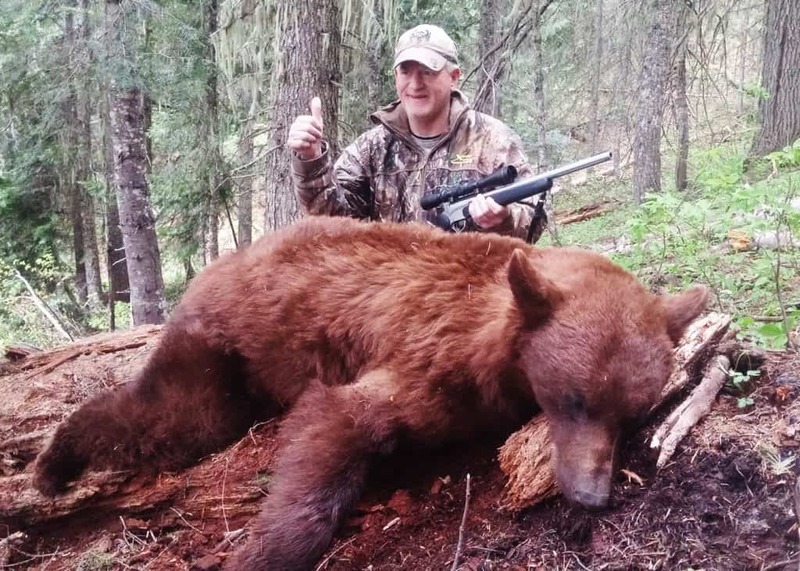 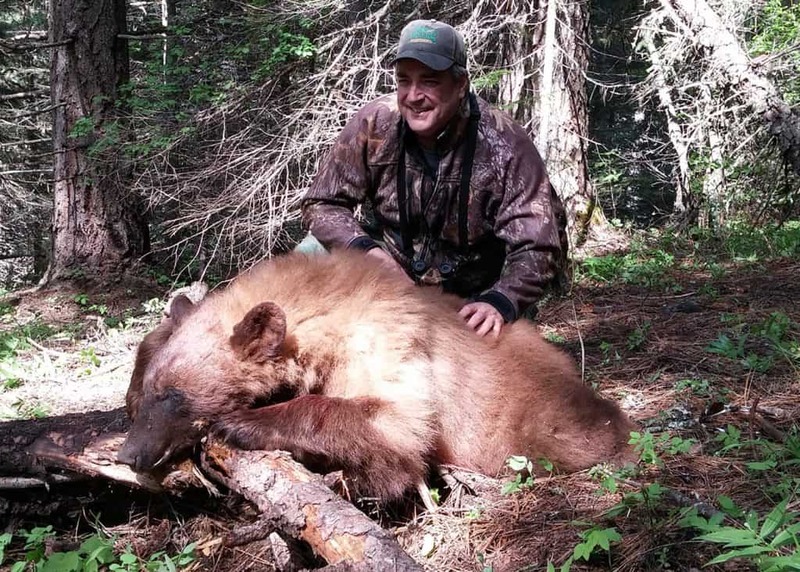 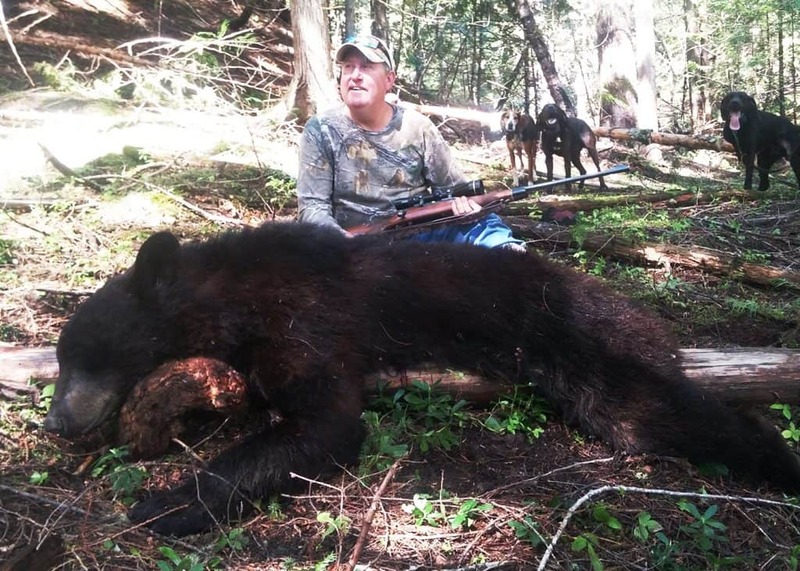 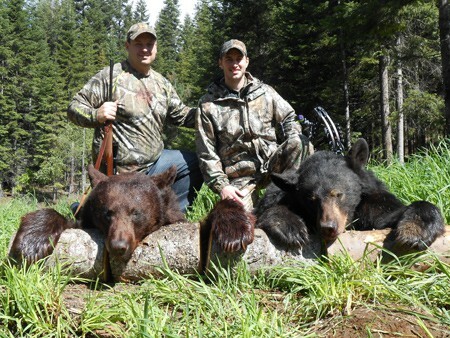 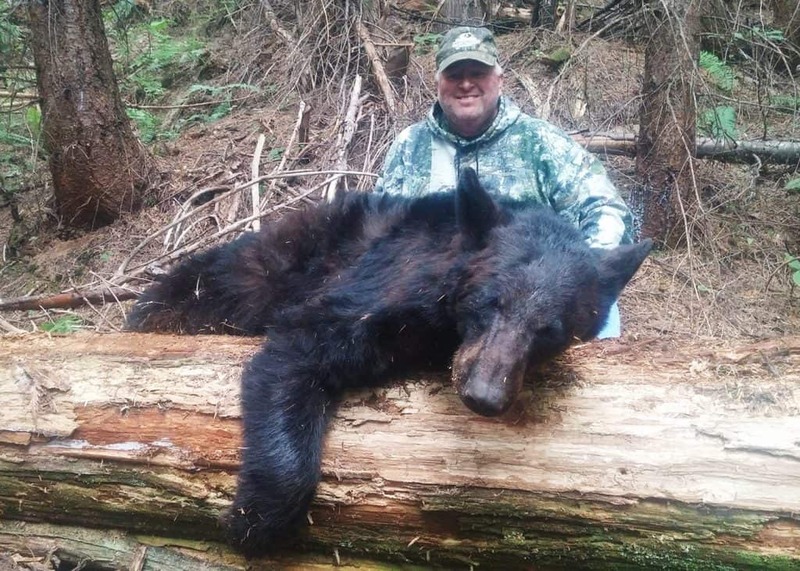 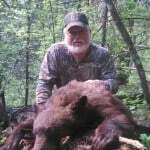 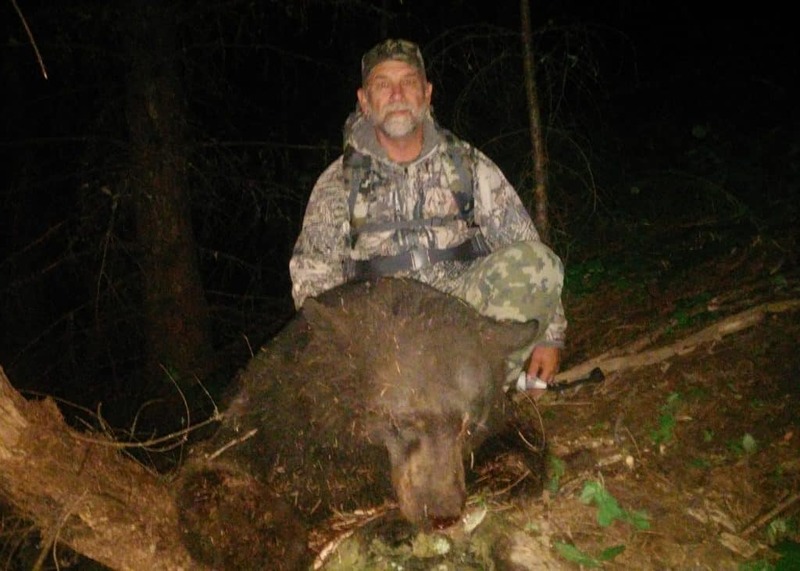 Our fall & spring bear hunts are fully guided. 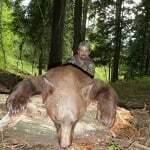 You will have 5 days of hunting. 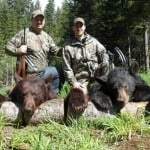 You will stay in the lodge, eat home cooked meals and be transported to and from the hunting area. 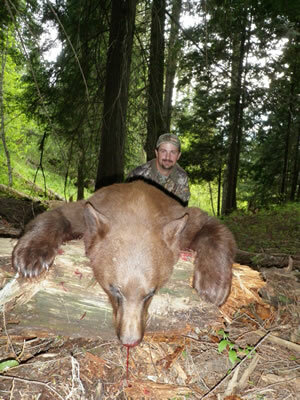 Our area hosts a large number of color phase bears ranging from black, red, cinnamon, chocolate and blonde. 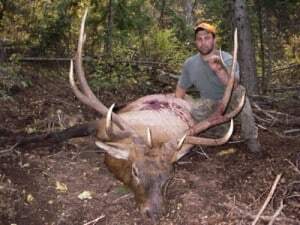 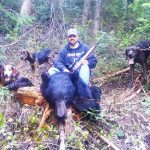 We offer a variety of hunts; bait, hounds and spot & stalk. 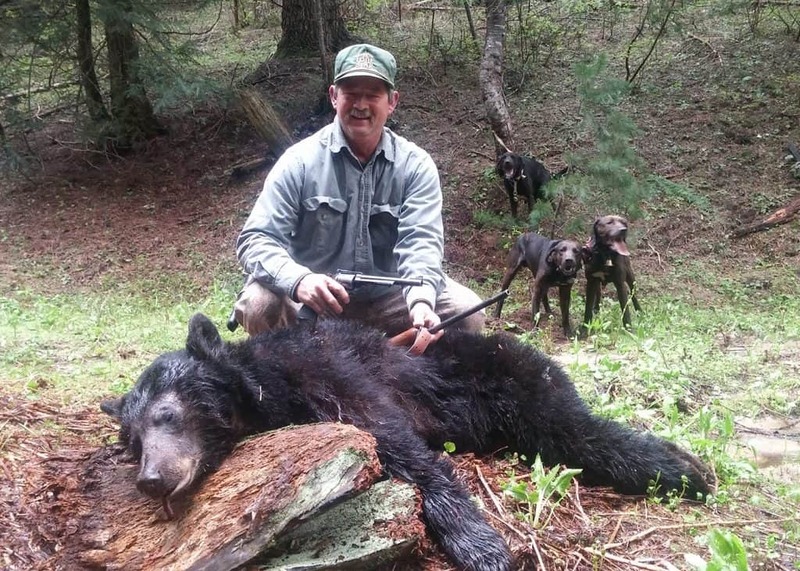 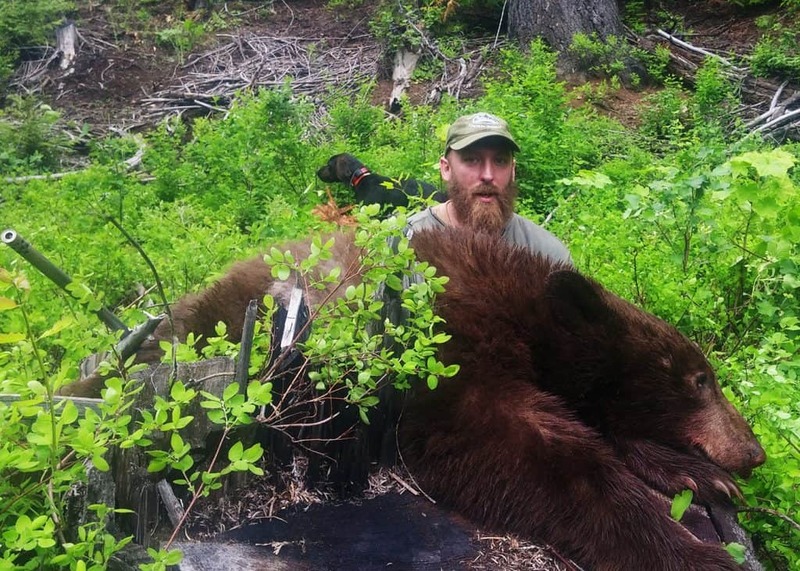 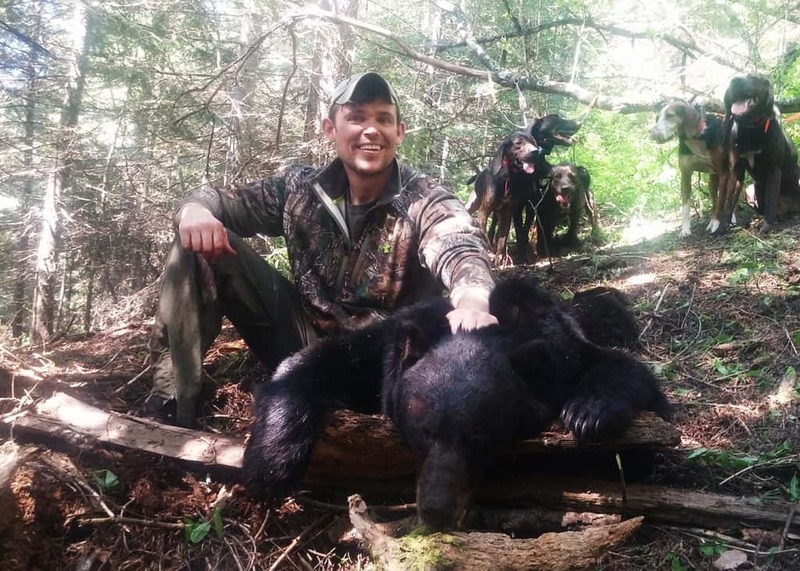 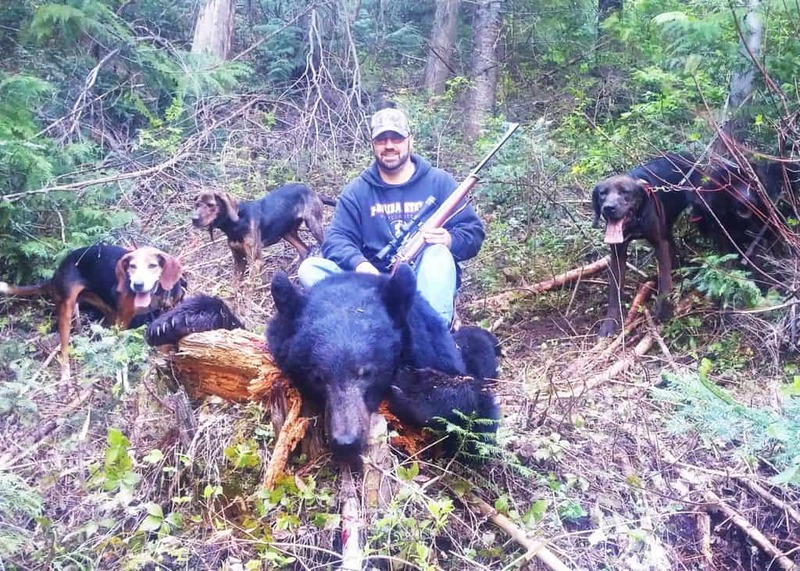 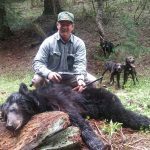 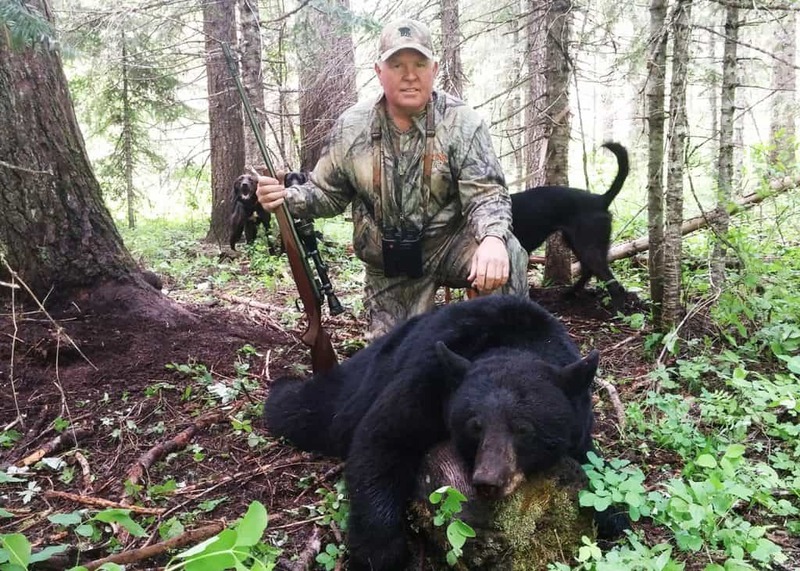 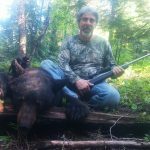 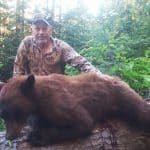 Hunting bear with hounds can be the most exciting bear hunt you'll ever experience. 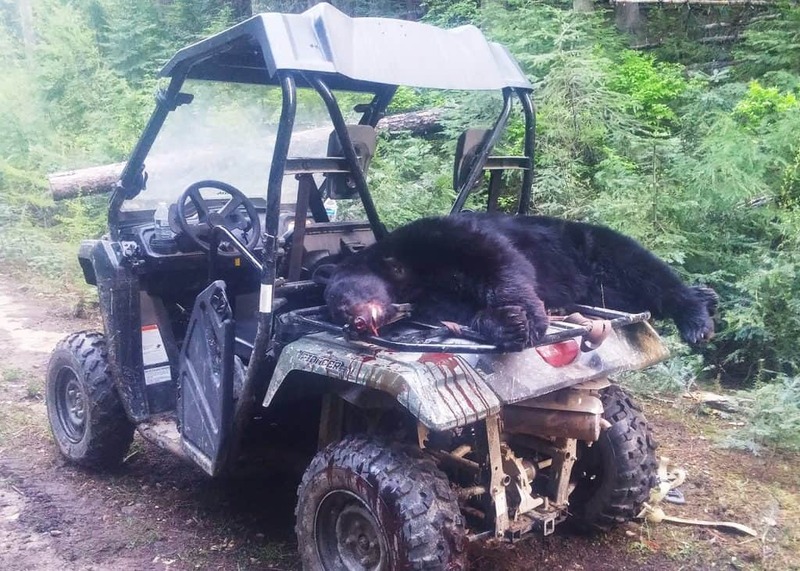 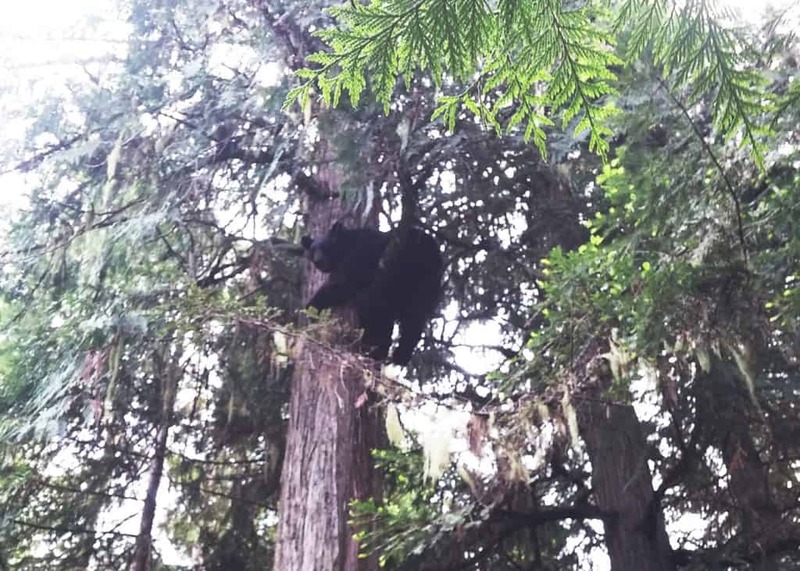 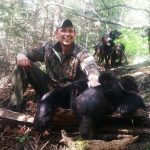 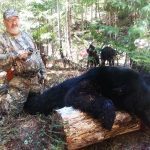 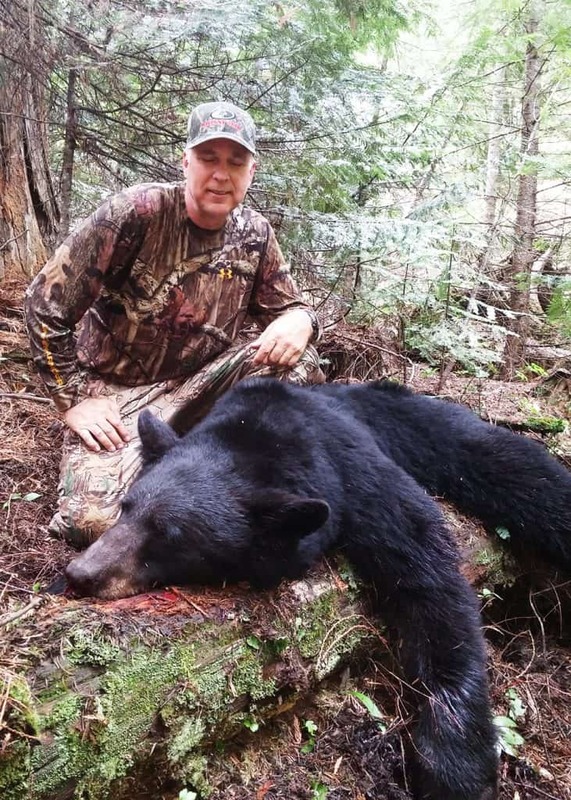 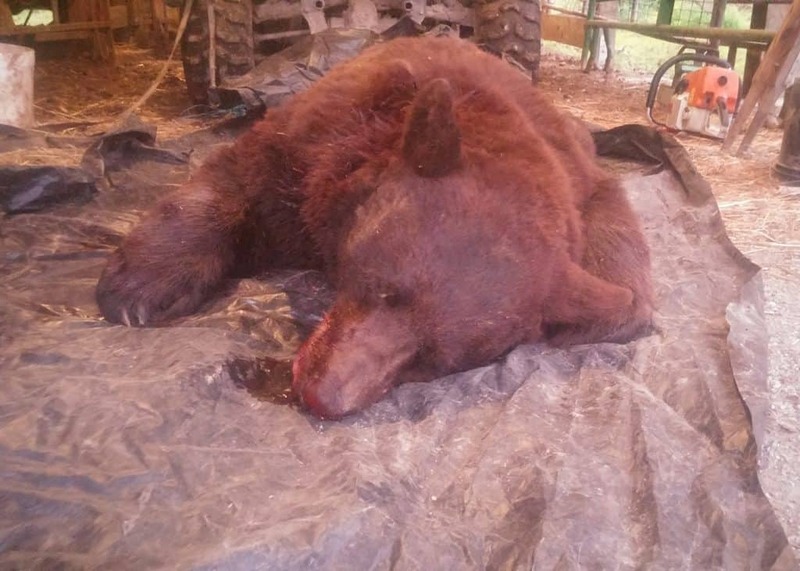 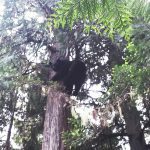 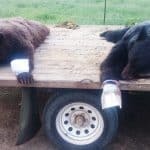 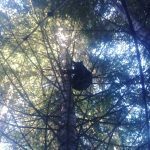 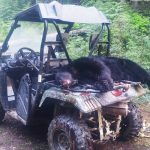 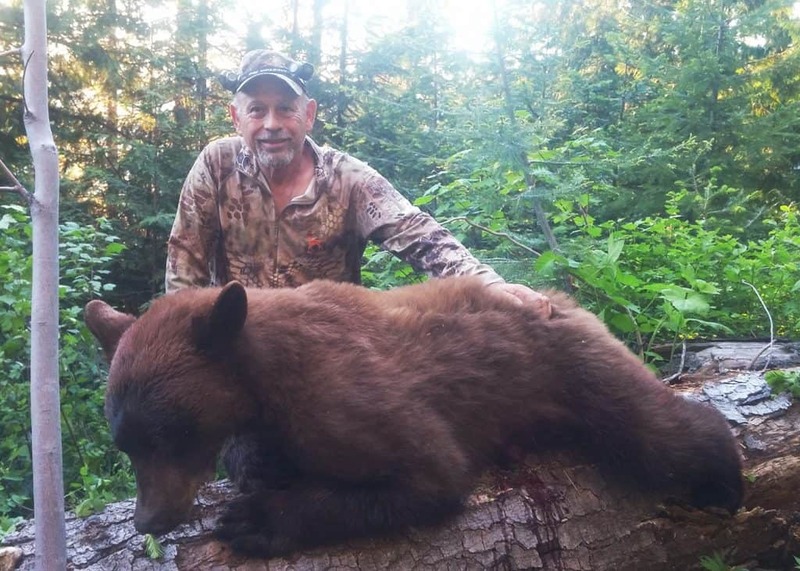 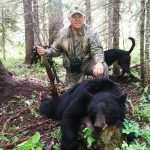 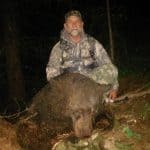 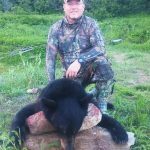 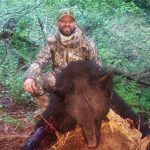 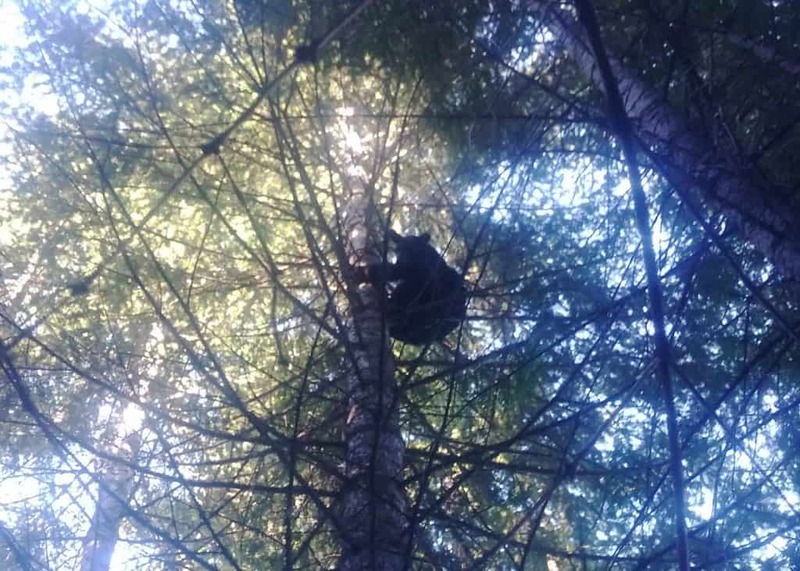 Bait hunts offer an excellent opportunity for a trophy bear, and accommodates a person with physical limitation or limited mobility. 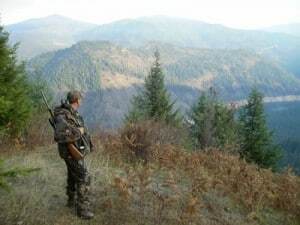 Our stands are positioned for the hunter hoping to harvest with a bow. 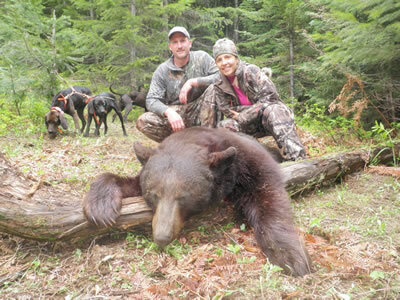 We can tailor a hunt to meet your needs. 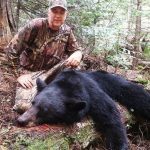 No bothersome black flies to contend with on the spring hunt. 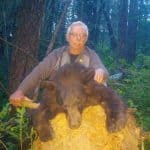 Wildlife is abundant in the spring so bring a camera.